So you want to make an impression but don't want to commit to anything big like a full skull mask or dyeing your hair. We completely understand. We here at HalloweenCostumes.com pride ourselves on our practical costuming options, especially when you want to make an impression (and not always a permanent one). 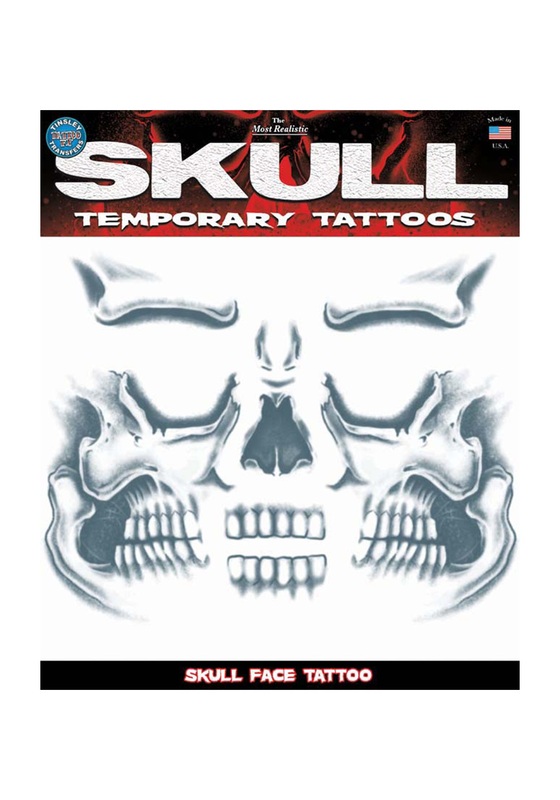 For instance, if you wanted to look like a specter or a terrifying thug, you could use this Skull Face Temporary Tattoo. It's a sheet of smaller tattoos meant to fit over your face and overlay it with a skull pattern. 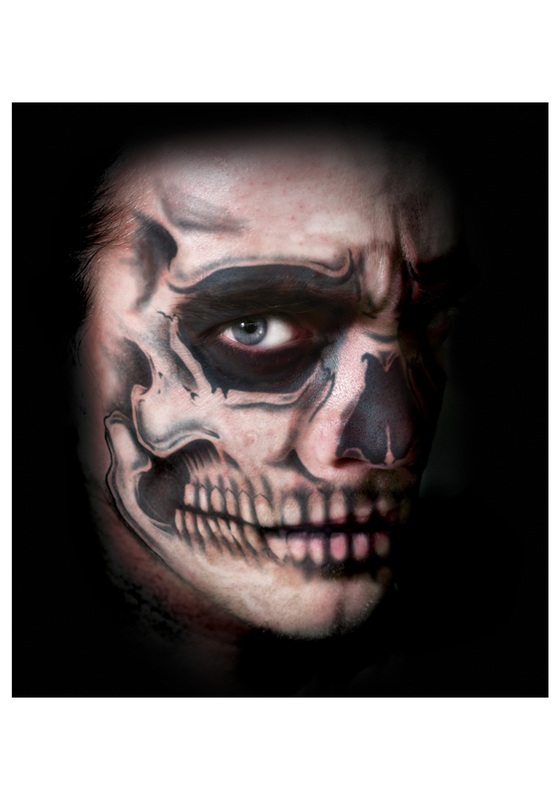 Great for Dia De Los Muertos or any other spooky party, this tattoo set is easily applied and removed and perfect for a few hours of intense costuming... without the permanent commitment to tattooing your face. How fantastic is that? 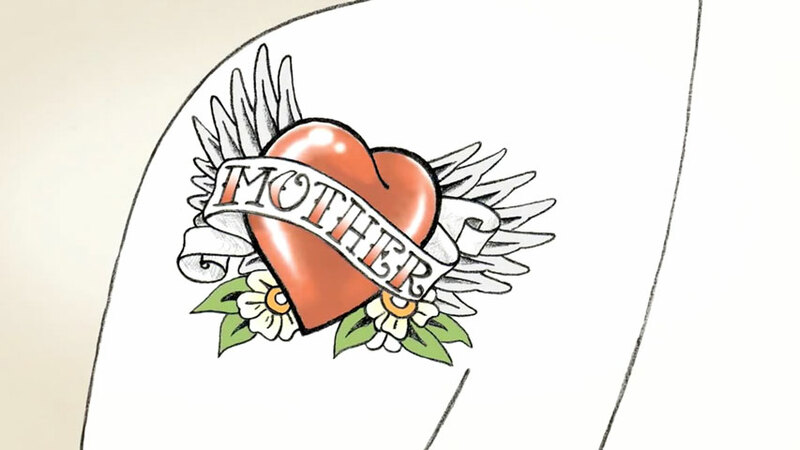 Yeah, we thought you'd like it.